In the early stages of innovation, there is often very little evidence to prove the potential success of an emerging product or service. Instead, we often rely on the loudest voice in the room – a shrewd political navigator – to build or force the internal momentum needed to get an idea to market. 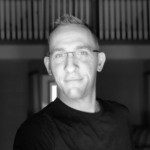 Matt Franks is a Partner at Modernist Studio, a design strategy consultancy that helps customers build great products, services, and teams, focused on identifying and delivering new forms of value. He was previously a Product Owner at Blackboard, responsible for the redesign, development, and launch of Blackboard’s core $700M learning product. Behzod Sirjani studies how people work and work together. 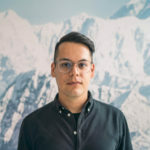 As a Senior Researcher at Slack, he focuses on understanding what work looks like for Slack customers and partners with product and sales teams to make customers’ work simpler, more pleasant, and more productive. Prior to Slack, he spent 4 years at Facebook working on business tools, video products, and hardware. He has experience conducting research in both consumer and enterprise settings, the United States and abroad. Practical Hyperlocal Service Design is a 3-hour workshop designed to level-up participants or teams with a working knowledge of user experience design by introducing techniques, tools, workflows, organizational structure, and theory focused around hyperlocal service organizations — like libraries — whose success depends on their ability to keep their finger on the pulse. 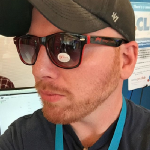 I am a service designer specializing in the hyperlocal (libraries, higher-ed, local journalism), where the success of product and service suites is determined by their user experience. Michael Schofield is the Lead of User Experience Development at WhereBy.Us, where he has been able to set a tone that marries product development and service design, which plays an important role both improving the quality and scalability of the product, but also maturing the company’s user experience ethic. He believes-in, evangelizes, and helps hyperlocal organizations like the one he is in now implement systems where the user-feedback loop is baked-in, so that user research isn’t a thing on the to-do list so much as the way that things get done in the first place. He talks shop on our user-experience podcast called Metric. He also writes a newsletter and publishes the podcast early for folks who are able to support it on patreon.com/michaelschofield. Are you introducing a new digital product or library service? You’re probably planning to collect feedback from day one. But are you really ready to hear what people think? In this session we’ll discuss strategies for responding to feedback and practice a method we’ve created, fearstorming, to prepare your team. Claire DeMarco leads cross-functional teams focused on building user-facing tools such as Library.Harvard and Harvard Digital Collections. She supports innovative efforts across Harvard Library through administration of the S.T. Lee Innovation Grants and partnerships with other departments. Much of Claire’s work involves the application of agile development methodology and high-performance team protocols. Claire serves on Library Committees including the Research, Teaching, & Learning Standing Committee (co-chair), the Library Connections and Innovation Planning Group (co-chair), the Alma Implementation Communication & Change Management Working Group (co-chair), and the Digital Futures Consortium. 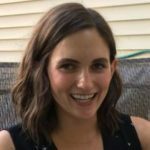 Claire joined Harvard in 2012 and worked in the Faculty Support Services and Research Services groups at Harvard Law School Library for 5 years. 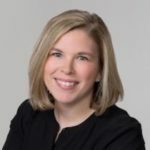 During previous periods of her career, Claire worked as a managing attorney in health care practice and as a research specialist in legislative and regulatory affairs at both state and Federal levels. She currently serves as an adjunct faculty member at Northeastern University School of Law. She holds an A.B. from Mount Holyoke College, an M.S.L.I.S. from Drexel University, and a J.D. from Suffolk University Law School. Abby Conway is a Digital Producer & Content Strategist at Harvard University. As a member of Harvard Library’s communications department and web team, she manages content across library.harvard.edu. Abby oversaw the audit of over 6,000 pages of content across two library websites creating a new, unified digital front door for Harvard Library, developed web writing guidelines for the organization, and more. Today she works to maintain writing and style standards across the site, audit content on a regular basis, research, write and edit new content, strategize around new site features, report on analytics, and more. Abby was a digital editor at WBUR, Boston’s NPR station, for several years before joining Harvard. During her time at WBUR she covered breaking news, including the Boston Marathon bombing, produced special projects, reported on the MBTA, and helped launch the station’s redesigned website. Learn more about Abby here. 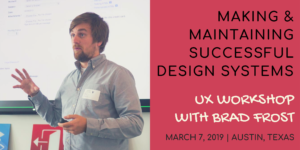 Designing for Digital is pleased to partner with Brad Frost to offer a special one-day intensive workshop on Thursday March 7th. D4D Attendees – Register for the “Premium Package” to attend D4D19 + this one-day UX Event at a discounted rate.